This website is operated by LadiesBalance.com ‘The Company’. Throughout the site, the terms “we”, “us”, “The Company” and “our” refer to LadiesBalance.com. LadiesBalance.com offers this website, including all information, tools and services available from this site to you, the user, conditioned upon your acceptance of all terms, conditions, policies and notices stated here. THIS SITE IS PROVIDED BY LADIESBALANCE ON AN “AS IS” BASIS. WE DO NOT WARRANT THAT THIS SITE WILL BE UNINTERRUPTED OR ERROR-FREE. THERE MAY BE DELAYS, OMISSIONS, INTERRUPTIONS AND INACCURACIES IN THE NEWS, INFORMATION OR OTHER MATERIALS OR CONTENT AVAILABLE THROUGH THIS SITE. WE ARE NOT RESPONSIBLE FOR THE AVAILABILITY OR CONTENT OF OTHER SERVICES THAT MAY BE LINKED TO THIS SITE. WE DO NOT MAKE ANY REPRESENTATIONS, NOR DO WE ENDORSE THE ACCURACY, COMPLETENESS, TIMELINESS OR RELIABILITY OF ANY ADVICE, OPINION, STATEMENT OR OTHER MATERIAL OR DATABASE DISPLAYED, UPLOADED OR DISTRIBUTED ON THIS SITE OR AVAILABLE THROUGH LINKS ON THIS SITE. WE RESERVE THE RIGHT TO CORRECT ANY ERRORS OR OMISSIONS ON THIS SITE. ALTHOUGH WE INTEND TO TAKE REASONABLE STEPS TO PREVENT THE INTRODUCTION OF VIRUSES OR OTHER DESTRUCTIVE MATERIALS TO THIS SITE, WE DO NOT GUARANTEE OR WARRANT THAT THIS SITE OR MATERIALS THAT MAY BE DOWNLOADED FROM THIS SITE DO NOT CONTAIN SUCH DESTRUCTIVE FEATURES. WE ARE NOT LIABLE FOR ANY DAMAGES OR HARM ATTRIBUTABLE TO SUCH FEATURES. IF YOU RELY ON THIS SITE AND ANY MATERIALS AVAILABLE THROUGH THIS SITE, YOU DO SO SOLELY AT YOUR OWN RISK. TO THE FULLEST EXTENT PERMISSIBLE BY APPLICABLE FEDERAL, STATE AND LOCAL LAW, LADIESBALANCE DISCLAIMS ALL WARRANTIES, EXPRESS OR IMPLIED, INCLUDING, BUT NOT LIMITED TO, IMPLIED WARRANTIES OF MERCHANTABILITY, NON INFRINGEMENT AND FITNESS FOR A PARTICULAR PURPOSE WITH RESPECT TO THIS SITE OR ANY INFORMATION OR GOODS THAT ARE AVAILABLE OR ADVERTISED OR SOLD THROUGH THIS SITE. WITHOUT LIMITING THE FOREGOING, THIS DISCLAIMER DOES NOT APPLY TO ANY PRODUCT WARRANTY OFFERED BY THE MANUFACTURER OF THE ITEM. LADIESBALANCE WILL NOT BE LIABLE FOR ANY DAMAGES OF ANY KIND ARISING FROM THE USE OF THIS SITE, INCLUDING, BUT NOT LIMITED TO, DIRECT, INDIRECT, INCIDENTAL, PUNITIVE, AND CONSEQUENTIAL DAMAGES. We may revise and update these Terms and Conditions from time to time in our sole discretion, or as required by law. All changes are effective immediately when we post them and apply to access and use of the Website thereafter. You are expected to check this page from time to time to take notice of any changes We made, as they are binding on you. Your continued use of the Website following the posting of revised Terms and Conditions means that you accept and agree to the changes. Although we will inform you conspicuously on our Website when we make changes to the Terms and Conditions, you are expected to check this page from time to time so you are aware of any changes as they are binding on you. Although the Company intends to make the Website and the Services available thereon available at all times, the Company has no liability if, for any reason, the Website is not available to Users. We reserve the right to withdraw or amend this Website, and any product, service, or material We provide on the Website, in our sole discretion without notice. We will not be liable if for any reason, or no reason at all, all or any part of the Website is unavailable at any time or for any period. From time to time, We may restrict access to some parts of the Website, or the entire Website, to users, including registered users. If you choose, or you are provided with, a secure user name, password or any other piece of information as part of our security procedures (“Access Credentials”), you must treat those Access Credentials as confidential, and you must not disclose those Access Credentials to any third party. You acknowledge that your account is personal to you and agree not to provide any other person with access to this Website and or its services and products using your Access Credentials. You agree to immediately notify Company of any unauthorized use of your Access Credentials or any other breach of security. You also agree to ensure that you exit from your account at the end of each session. You should use particular caution when accessing your account from a public or shared computer so that others are not able to view or record your Access Credentials. We have the right to disable any Access Credentials, whether chosen by you or provided by Us, at any time in our sole discretion for any or no reason, including, if in our opinion, you have failed to comply with any provision of these Terms and Conditions. The Website and its entire contents, features, and functionality (including but not limited to all information, software, text, displays, images, video and audio, and the design, selection and arrangement thereof), are owned by the Company, its licensors or other providers of such material and are protected by United States and international copyright, trademark, patent, trade secret and other intellectual property or proprietary rights laws. Store copies of such materials temporarily in RAM or in your web browser’s automatic cache, which may occur automatically as a result of the operation of your computer or mobile device. Print a reasonable number of pages of the Website for your own personal, non-commercial use. If We provide desktop, mobile or other applications for download, you may download a single copy to your computer or mobile device solely for your own personal, non-commercial use, provided you agree to be bound to our end user licensing agreement for such applications. If you utilize our social media and or social networking features with certain content you may take such actions as are authorized and enabled by such features. By connecting to the Website with a third-party service (i.e. a social media service), you give Us permission to access and use your information from that service as permitted by that service, and to store your log-in credentials used to access that third party service. The Company is not responsible for the accuracy, availability or reliability of any information, content, goods, data, opinions, advice or statements made available in connection with Social Networking Services. As such, the Company is not liable for any damage or loss caused or alleged to be caused by or in connection with use of or reliance on any such Social Networking Services. The Company enables these features merely as a convenience and the integration or inclusion of such features does not imply an endorsement or recommendation. Access or use for any commercial purposes any part of the Website or any services or materials available through the Website. You must not reproduce, sell or exploit for any commercial purposes any part of the Website, access to the Website or use of the Website or any services or materials available through the Website. 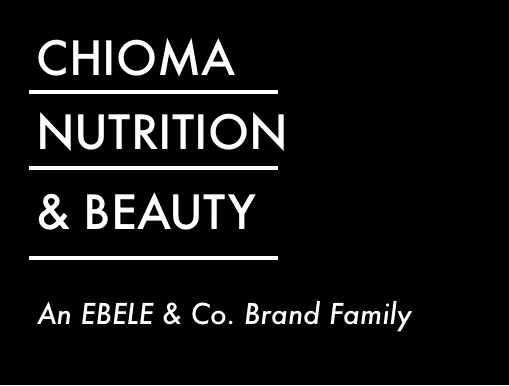 If you wish to make any use of material on the Website other than as set out in this section, you may request our consent to do so by sending a request via email to: info@chiomanutrition.com. Sending a request for use of material does not automatically confer approval of your request. We reserve all rights with respect to any request for use of the content on the Website. If you print, copy, modify, download or otherwise use any part of the Website in breach of the Terms and Conditions, your right to use the Website will cease immediately and you must, at our option, return or destroy any copies of the materials. No right, title or interest in or to the Website or any content on the Website is transferred to you, and all rights not expressly granted are reserved by the Company. Any use of the Website not expressly permitted by these Terms and Conditions is a breach of these Terms and Conditions and may violate copyright, trademark and other laws. The Company name, the terms “LadiesBalance”, the Company logo, and all related names, logos, product and service names service marks, designs and slogans (together “Marks”), are trademarks of the Company or its affiliates or licensors. You must not use the Marks without the prior written permission of the Company. All other names, brands and marks are used for identification purposes only and are the trademarks of their respective owners. The Company expressly disclaims any right in the intellectual property of advertisers whose content may appear on the Website. To launch any third party attack, hack, penetration, denial of service attack, or breach of any third party website, service or internet asset. Use any bot, spider or other automatic device, process or means, including manual means, to access the Website for any purpose, including monitoring or copying any of the material on the Website, without our prior written consent. Introduce any malware, hostile executables, viruses, trojan horses, worms, logic bombs ransomware, or other material which is malicious or technologically harmful. Attack the Website via any form of denial-of-service attack. The Website may contain message boards, chat rooms, personal web pages or profiles, forums, bulletin board, and other interactive features (collectively, “Interactive Services“) that allow Users to post, submit, publish, display or transmit to other users (hereinafter, “post“) content or materials (collectively, “User Content“) on or through the Website. All User Content must comply with the Content Standards set out in these Terms. 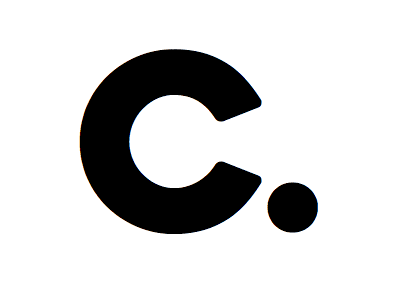 Any User Content you post to the site will be considered non-confidential and non-proprietary, and We have the right to use, copy, distribute and disclose to third parties any such material for any purpose. All User Content must comply with the Content Standards set out in these Terms. You represent and warrant that you own and/or control all rights in and to the User Content and have the right to grant the Company and its affiliates the license granted above to Us, our affiliates and subsidiaries, and all third parties who provide services necessary for the maintenance and operation of the Website. You represent and warrant that all of your User Content does and will comply with these Terms and Conditions, and you agree to defend, indemnify and hold harmless the Company and its affiliates and licensors for any breach of that representation and warranty. You understand and acknowledge that you are responsible for any User Content you submit or contribute, and you, not the Company, have full responsibility for such content, including its legality, reliability, accuracy and appropriateness. Any content and/or opinions uploaded, expressed or submitted to the Website, and all articles and responses to questions and other content, other than the content provided by the Company, are solely the opinions and the responsibility of the User, person, or entity submitting them and do not necessarily reflect the opinion of the Company. We are not responsible, or liable to any third party, for the content or accuracy of any materials posted by you or any other User of the Website. By using the Website, you agree that the Company is merely hosting or re-publishing the speech of others, and that the Company is protected from any liability for User Content pursuant to section 230 of the Communications Decency Act (47 U.S.C. §230). All purchases through our site or other transactions for the sale of goods, or services or information formed through the Website or as a result of visits made by you to the Website, whether via the actual website on a computer browser, through a mobile application or through a social networking site are governed by these Terms of Sale. Placing an Order for Products and Services. To purchase products and or Services from Us via the Website, you are required to provide the Company with information regarding your credit card or other authorized payment instrument. The Company reserves all right, at its sole discretion, to determine what form of payment it will accept. After placing an order on the Website, you will receive an email message from Us acknowledging that We have received your order. This acknowledgment email does not mean that your order has been accepted by Us. Your placed and acknowledged order constitutes an offer to Us to buy a product. All orders are subject to acceptance by Us, and We will confirm such acceptance to you by email that confirms that the product has been dispatched (“Confirmation”). The contract between us and you (“Contract”) will only be formed when we send you the Confirmation email. The Contract will relate only to those products and or services whose dispatch we have confirmed in the Confirmation. We are not obligated to supply any other product that may have been part of your order until the dispatch of such products and/or services has been confirmed in a separate Confirmation. All products ordered through our Website shall be subject to the payment processes described below. Certain aspects of the Services and products offered by the Company, for example subscription plans, may be provided for a fee or charge. If you elect to use paid aspects of the Website offered by the Company, you agree to the pricing and payment terms cited on our Website, and as we may update them from time to time. the Company may add new Services for additional fees and charges, or change those fees and charges for existing services at any time in its sole discretion. You may use all major credit cards or debit cards for payment for all products and/or services offered by the Company. Payments shall be processed through our Website in accordance with the payment information you submit on the Website. The Company reserves the right to withhold payment or charge back to your account any amounts otherwise due to Us, or amounts due to any failure to pay or other breach of these Terms and Conditions by you, pending the Company’s reasonable investigation of such breach. To ensure proper payment, you are solely responsible for providing and maintaining accurate contact and payment information associated with your account. All information that you provide in connection with a purchase from the Company or other transaction with the Website must be accurate, complete, and current. You agree to pay all applicable taxes or charges imposed by any government entity in connection with any purchase from the Company. All purchases through our site or other transactions for the sale of goods or services or information formed through the Website or as a result of visits made by you are governed by these Terms and Conditions. Your LadiesBalance User account will allow you to purchase products and services listed on our Website and you will allow Users to access the Services, products and functionality that we may establish and preserve from time to time in our sole discretion. We may also maintain different types of accounts for different types of Users. If you create a LadiesBalance User account on the Website on behalf of a company, organization, or any other entity, other than you includes you, you expressly represent and warrant that you are an authorized representative of that entity with the authority to bind that entity to these Terms and Conditions, and that you agree to these Terms and Conditions on behalf of that entity. Using another User’s account without their express consent and permission is not allowed. Accurate and complete information must be provided when creating your User account. You are solely liable for the activity that occurs on your User account and it is your responsibility to keep your account credentials secure. Website User accounts require passwords. We recommend that you use “strong” passwords (passwords which include a combination of upper and lower case letters, numbers and symbols) for your account. If you become aware of any breach of security or unauthorized use of your Website Account, you must immediately notify the Company by email to info@chiomanutrition.com. The Company will not be held liable for any losses caused on your User account by any unauthorized use of your User account. You control your User account, user profile and the interactions you have with the Service by accessing the settings section in your User account page. By providing the Company with your email address you authorize us to use your email address to send you Service-related notices, which may include any notices required by law, in lieu of communication by postal mail. We may use your email address to send you messages regarding changes to features of the Service and messages regarding special offers. If you decide you prefer not to receive such email messages, you may opt out by changing your preferences in your customer account page. Please be aware that opting out may prevent you from receiving email messages regarding updates, improvements, or offers. The Company offers Subscription Plan products designed to allow Users to make purchases of wellness on a recurring basis. Once you create an account and authorize us to charge you, you will become an “Active Subscriber”. For more details about the Subscription, please see www.ladiesbalance.com. The Company reserves the rights to terminate your membership, to refuse any and all current or future use of the Website or the services or products offered by Us, and not to do business with any anyone, the Company deems appropriate in its sole discretion for any reason.. However, Users are given the option of subscribing to a Subscription Plan service whereby users agree to receive a subscription for the receipt of selected products on a monthly basis (known as the “Service”). You may only subscribe to the Service if, you are 18 years old or older, or over the age of 13 with the assistance and approval of your parent or guardian. There are currently 4 different subscription plans and each plan includes a unique set of products and pricing. By subscribing to the monthly Service, you are considered a Subscriber of the Service, and you agree to the recurring monthly payment of a monthly subscription fee plus any applicable shipping and taxes, whether monthly or in pre-paid intervals offered by the Website. Once you subscribe, the Company will process your monthly subscription fee for the first month, and every month, or term thereafter, until your subscription is cancelled upon your request or service is terminated without further notice to you. The Company reserves its right to modify or alter these prices, but will give you notice of any changes made to these prices. Subscription can be easily stopped, suspended or modified by going to My Account > Purchases > Select the desired subscription. All modifications or cancellations must be made at least 5 days prior to the renewal date. Once the order has been processed, it will need to be returned to our facilities in the event of a wrong address re-shipment or return request. Users may cancel their subscription at any time by logging in to their Account Page and selecting ‘Subscriptions’ under ‘Purchases’, or by contacting LadiesBalance at info@chiomanutrition.com, with the subject line “SUBSCRIPTION UNSUBSCRIBE”. Users requesting cancellation of subscription(s) via e-mail must do so by the 5 business days prior to the renewal date. Anyone may re-subscribe at any time following cancellation. You agree that the Company, in its sole discretion, may suspend or terminate any User account (or any part thereof) or use of the Service, and remove and discard any content within the Service, for any reason, including, without limitation, for lack of use, or if the Company believes that you have violated or acted inconsistently with the letter or spirit of these Terms and Conditions. Any suspected fraudulent, abusive or illegal activity that may be grounds for termination of your use of Website or Service, may be referred to appropriate law enforcement authorities. The Company may also in its sole discretion and at any time discontinue providing the Service, or any part thereof, with or without notice. You agree that any termination of your access to the Service under any provision of this Terms of Service may be effected without prior notice, and acknowledge and agree that the Company may immediately deactivate or delete your account and all related information and files in your account and/or bar any further access to such files or the Service. Further, you agree that the Company will not be liable to you or any third-party for any termination of your access to the Service, or any part of the Website. You agree that you are solely responsible for your interactions with any other User in connection with the Service and the Website, and the Company will have no liability or responsibility with respect thereto. The Company reserves the right, but has no obligation, to become involved in any way with disputes between you and any other user of the Website or the Service. If you dispute any payment made to the Company you must notify the Company in writing via email or in writing within thirty (30) days of making the payment in dispute. Failure to notify the Company shall result in the waiver by you of any claim relating to such disputed payment. Payment shall be calculated solely based on records maintained by the Company. No other accounting of any kind shall be accepted by the Company or have any effect under these Terms and Conditions. We may withhold any taxes or other amounts from payments due to you as required by law. By accessing the Website and agreeing to these Terms and Conditions, you expressly waive the right to request a chargeback from your credit card company, and acknowledge that your sole recourse for any disputes is through the dispute resolution procedures noted herein. You may link to our Website homepage, provided you do so in a way that is fair and legal and does not damage our reputation or take advantage of it, but you must not establish a link in such a way as to suggest any form of association, approval or endorsement on our part where none exists without our express written consent. You must not establish a link to this Website from any website that is not owned by you, or for which you lack proper legal authority to establish a link. The Website must not be framed on any other site, nor may you create a link to any part of the Website other than the homepage. The website from which you are linking must comply in all respects with the Content Standards set out in these Terms and Conditions. You agree to cooperate with Us in causing any unauthorized framing or linking immediately to cease. We reserve the right to withdraw linking permission without notice. We may disable all or any social media features and any links at any time without notice in our sole discretion. If the Website contains links to other sites and resources provided by third parties, these links are provided for your convenience only. This includes links contained in advertisements, including banner advertisements, and sponsored links. We have no control over the contents of those sites or resources, and accept no responsibility for them or for any loss or damage that may arise from your use of them. If you decide to access any of the third party websites linked to this Website, you do so entirely at your own risk and subject to the terms and conditions of use for such websites, which may vary from these Terms and Conditions. The Company expressly disclaims any responsibility for the actions of third parties, even if users of the Website learn about, or access those third parties though the Website. The Company (which owns the Website) is based in the state of Texas in the United States. We make no claims that the Website or any of its content is accessible or appropriate outside of the United States, or any of its territories or possessions. Access to the Website may not be legal by certain persons or in certain countries. If you access the Website from outside the United States, or any of its territories or possessions, you do so on your own initiative, bear all risk with respect to your access, and are responsible for compliance with all applicable local laws. You understand that We cannot and do not guarantee or warrant that files available for downloading from the internet or the Website will be free of viruses or other malicious code. You are responsible for implementing sufficient procedures and checkpoints to satisfy your particular requirements for anti-virus protection and accuracy of data input and output, and for maintaining a means external to the Website for any reconstruction of any lost data. WE WILL NOT BE LIABLE FOR ANY LOSS OR DAMAGE CAUSED BY A DISTRIBUTED DENIAL-OF-SERVICE ATTACK, VIRUSES, MALICIOUS CODE, OR OTHER TECHNOLOGICALLY HARMFUL MATERIAL THAT MAY INFECT YOUR COMPUTER EQUIPMENT, COMPUTER PROGRAMS, DATA OR OTHER PROPRIETARY MATERIAL DUE TO YOUR USE OF THE WEBSITE OR ANY SERVICES OR ITEMS OBTAINED THROUGH THE WEBSITE OR TO YOUR DOWNLOADING OF ANY MATERIAL POSTED ON IT, OR ON ANY WEBSITE LINKED TO IT. YOUR USE OF THE WEBSITE, ITS CONTENT AND ANY SERVICES OR ITEMS OBTAINED THROUGH THE WEBSITE IS AT YOUR OWN RISK. THE WEBSITE, ITS CONTENT AND ANY SERVICES OR ITEMS OBTAINED THROUGH THE WEBSITE ARE PROVIDED ON AN “AS IS” AND “AS AVAILABLE” BASIS, WITHOUT ANY WARRANTIES OF ANY KIND, EITHER EXPRESS OR IMPLIED. NEITHER THE COMPANY NOR ANY PERSON ASSOCIATED WITH THE COMPANY MAKES ANY WARRANTY OR REPRESENTATION WITH RESPECT TO THE COMPLETENESS, SECURITY, RELIABILITY, QUALITY, ACCURACY OR AVAILABILITY OF THE WEBSITE. WITHOUT LIMITING THE FOREGOING, NEITHER THE COMPANY NOR ANYONE ASSOCIATED WITH THE COMPANY REPRESENTS OR WARRANTS THAT THE WEBSITE, ITS CONTENT OR ANY SERVICES OR ITEMS OBTAINED THROUGH THE WEBSITE WILL BE ACCURATE, RELIABLE, ERROR-FREE OR UNINTERRUPTED, THAT DEFECTS WILL BE CORRECTED, THAT THE WEBSITE OR THE SERVER THAT MAKES IT AVAILABLE ARE FREE OF VIRUSES OR OTHER HARMFUL COMPONENTS OR THAT THE WEBSITE OR ANY SERVICES, PRODUCTS OR ITEMS OBTAINED THROUGH THE WEBSITE WILL OTHERWISE MEET YOUR NEEDS OR EXPECTATIONS. THE COMPANY HEREBY DISCLAIMS ALL WARRANTIES OF ANY KIND, EXPRESSED OR IMPLIED, STATUTORY OR OTHERWISE, INCLUDING BUT NOT LIMITED TO ANY WARRANTIES OF MERCHANTABILITY, NON-INFRINGEMENT AND FITNESS FOR PARTICULAR PURPOSE RELATED TO THE PRODUCTS PROVIDED BY THE COMPANY. ANY REPRESENTATIONS MADE ON THE WEBSITE ARE REPRESENTATIONS MADE BY THE MANUFACTURER OF THE PRODUCTS PROVIDED BY THE COMPANY, AND ARE NOT REPRESENTATIONS OF THE COMPANY. THE FOREGOING DOES NOT AFFECT ANY WARRANTIES WHICH CANNOT BE EXCLUDED OR LIMITED UNDER APPLICABLE LAW. YOU EXPRESSLY AGREE AND UNDERSTAND THAT IN NO EVENT WILL THE COMPANY, ITS AFFILIATES OR THEIR LICENSORS, SERVICE PROVIDERS, EMPLOYEES, AGENTS, OFFICERS OR DIRECTORS BE LIABLE FOR DAMAGES OF ANY KIND, UNDER ANY LEGAL THEORY, ARISING OUT OF OR IN CONNECTION WITH (a) YOUR USE, OR INABILITY TO USE, THE WEBSITE, ANY WEBSITES LINKED TO IT, ANY CONTENT ON THE WEBSITE OR SUCH OTHER WEBSITES OR ANY SERVICES OR ITEMS OBTAINED THROUGH THE WEBSITE OR SUCH OTHER WEBSITES, INCLUDING ANY DIRECT, INDIRECT, SPECIAL, INCIDENTAL, CONSEQUENTIAL OR PUNITIVE DAMAGES, INCLUDING BUT NOT LIMITED TO, PERSONAL INJURY, PAIN AND SUFFERING, EMOTIONAL DISTRESS, LOSS OF REVENUE, LOSS OF PROFITS, LOSS OF BUSINESS OR ANTICIPATED SAVINGS, LOSS OF USE, LOSS OF GOODWILL, LOSS OF DATA, AND WHETHER CAUSED BY TORT (INCLUDING NEGLIGENCE), BREACH OF CONTRACT OR OTHERWISE, EVEN IF FORESEEABLE, (b) THE COST OF PROCUREMENT OF SUBSTITUTE GOODS AND SERVICES RESULTING FROM ANY GOODS, DATA, INFORMATION OR SERVICES PURCHASED OR OBTAINED OR MESSAGES RECEIVED OR TRANSACTIONS ENTERED INTO THROUGH OR FROM THE WEBSITE; (c) UNAUTHORIZED ACCESS TO OR ALTERATION OF YOUR TRANSMISSIONS OR DATA; (d) STATEMENTS OR CONDUCT OF ANY THIRD PARTY ON THE WEBSITE; OR (e) ANY OTHER MATTER RELATING TO THE WEBSITE. IN NO EVENT WILL THE COMPANY’S TOTAL LIABILITY TO YOU FOR ALL DAMAGES, LOSSES OR CAUSES OF ACTION EXCEED THE AMOUNT YOU HAVE PAID THE COMPANY IN THE LAST SIX (6) MONTHS, OR, IF GREATER, ONE HUNDRED DOLLARS ($100). THE FOREGOING DOES NOT AFFECT ANY LIABILITY WHICH CANNOT BE EXCLUDED OR LIMITED UNDER APPLICABLE LAW. SOME JURISDICTIONS DO NOT ALLOW THE EXCLUSION OF CERTAIN WARRANTIES OR THE LIMITATION OR EXCLUSION OF LIABILITY FOR INCIDENTAL OR CONSEQUENTIAL DAMAGES. ACCORDINGLY, SOME OF THE ABOVE LIMITATIONS MAY NOT APPLY TO YOU. IF YOU ARE DISSATISFIED WITH ANY PRODUCT OR SERVICE PROVIDED BY THE COMPANY, OR WITH THESE TERMS OF SERVICE, YOUR SOLE AND EXCLUSIVE REMEDY IS TO DISCONTINUE USE OF THE SERVICES PROVIDED BY THE COMPANY. In no case shall LadiesBalance.com, our directors, officers, employees, affiliates, agents, contractors, interns, suppliers, service providers or licensors be liable for any injury, loss, claim, or any direct, indirect, incidental, punitive, special, or consequential damages of any kind, including, without limitation lost profits, lost revenue, lost savings, loss of data, replacement costs, or any similar damages, whether based in contract, tort (including negligence), strict liability or otherwise, arising from your use of any of the service or any products procured using the service, or for any other claim related in any way to your use of the service or any product, including, but not limited to, any errors or omissions in any content, or any loss or damage of any kind incurred as a result of the use of the service or any content (or product) posted, transmitted, or otherwise made available via the service, even if advised of their possibility. Because some states or jurisdictions do not allow the exclusion or the limitation of liability for consequential or incidental damages, in such states or jurisdictions, our liability shall be limited to the maximum extent permitted by law. You agree to indemnify, defend and hold harmless LadiesBalance.com and our parent, subsidiaries, affiliates, partners, officers, directors, agents, contractors, licensors, service providers, subcontractors, suppliers, interns and employees, harmless from any claim or demand, including reasonable attorneys’ fees, made by any third-party due to or arising out of your breach of these Terms of Service or the documents they incorporate by reference, or your violation of any law or the rights of a third-party. These Terms of Service and any separate agreements whereby we provide you Services shall be governed by and construed in accordance with the laws of P.O. Box 2296, Coppell, TX, 75019, United States. Questions about the Terms of Service should be sent to us at info@chiomanutrition.com.